Branching, Switching and tagging Francesco Furfari CNR-ISTI Italy. 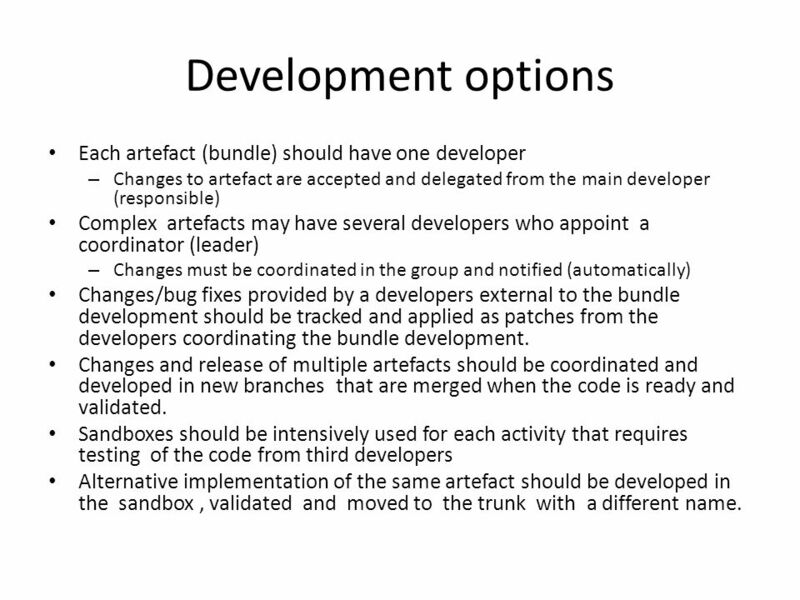 8 Development options Each artefact (bundle) should have one developer – Changes to artefact are accepted and delegated from the main developer (responsible) Complex artefacts may have several developers who appoint a coordinator (leader) – Changes must be coordinated in the group and notified (automatically) Changes/bug fixes provided by a developers external to the bundle development should be tracked and applied as patches from the developers coordinating the bundle development. 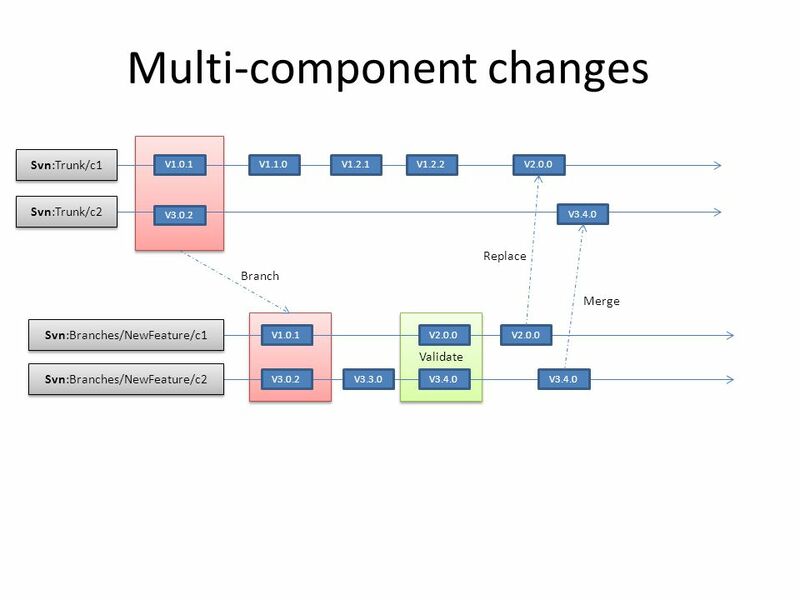 Changes and release of multiple artefacts should be coordinated and developed in new branches that are merged when the code is ready and validated. 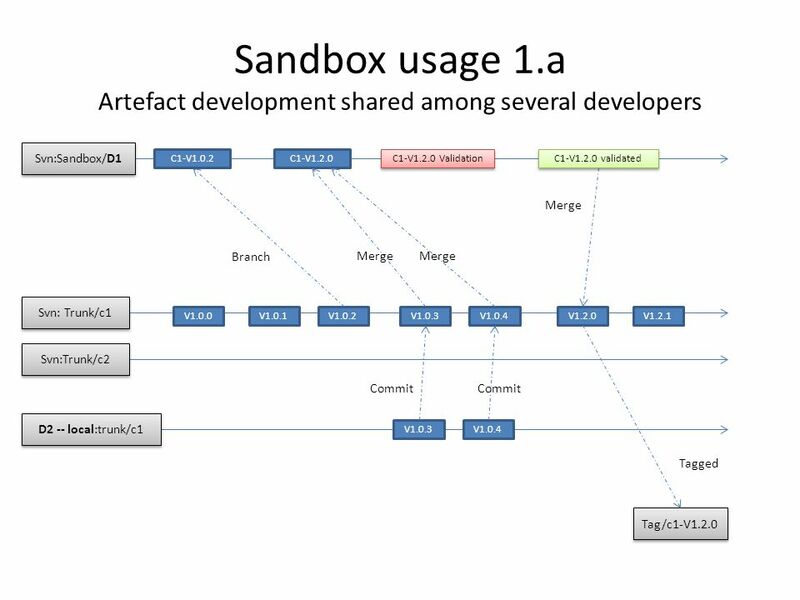 Sandboxes should be intensively used for each activity that requires testing of the code from third developers Alternative implementation of the same artefact should be developed in the sandbox, validated and moved to the trunk with a different name. 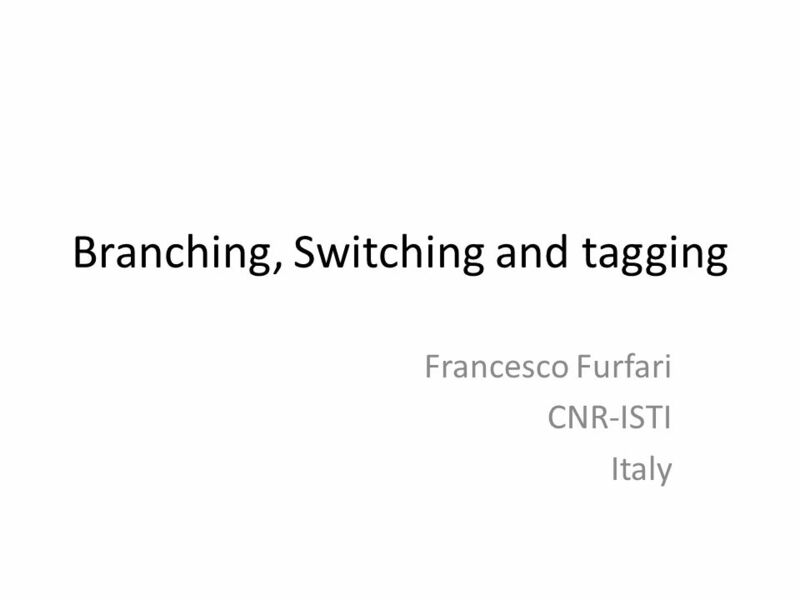 Download ppt "Branching, Switching and tagging Francesco Furfari CNR-ISTI Italy." Week 2 DUE This Week: Safety Form and Model Release DUE Next Week: Project Timelines and Website Notebooks Lab Access SharePoint Usage Subversion Software. Official; Crown Copyright 2014; Released under OGL XML Schema Maintenance Debbie Wilson, Peter Parslow Geographic Information Architects May 2014. OSLC PLM Workgroup1 Towards detailed use cases and alignment to OSLC V0.2 Gray Bachelor 19 th July 2011. Software Configuration Management Donna Albino LIS489, December 3, 2014. 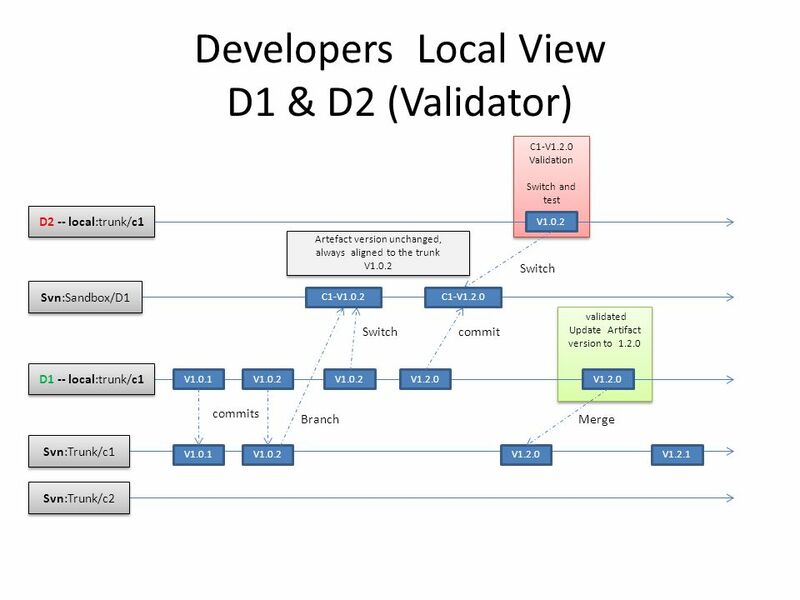 Version Control What it is and why you want it. What is Version Control? A system that manages changes to documents, files, or any other stored information. Source Control in MATLAB A tool for tracking changes in software development projects. Stuart Nelis & Rachel Sheldon. When will our bugs be fixed? When will our new features be added? When will the next release come out? Is my server up-to-date? Users Committers Program. 1 Copyright © 2014 Tata Consultancy Services Limited Source Code Management using Rational Team Concert IBM Rational, Alliance & Technology Unit 2 July. Source Code Management Or Configuration Management: How I learned to Stop Worrying and Hate My Co-workers Less. 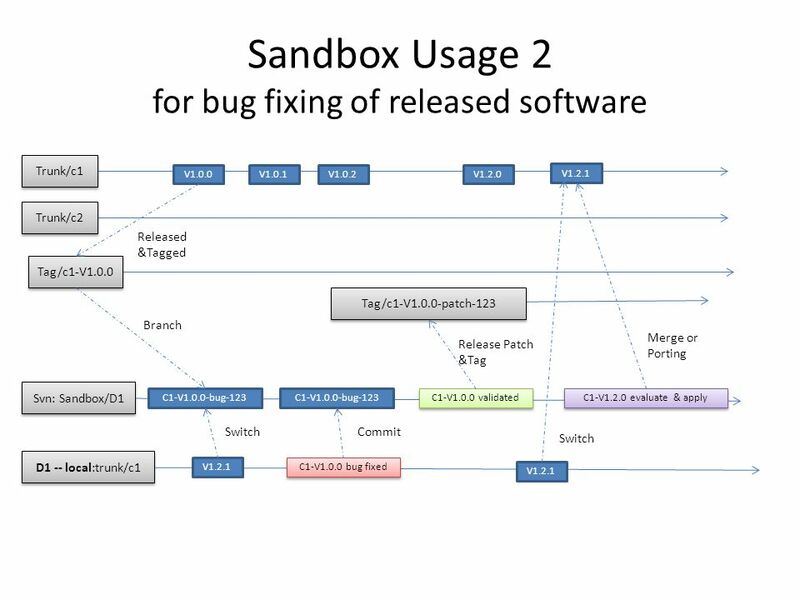 Software Configuration Management Slides derived from Dr. Sara Stoecklin’s notes and various web sources. Chapter 25 – Configuration Management 1Chapter 25 Configuration management. Wellcome Trust Centre for Gene Regulation & Expression College of Life Sciences, University of Dundee Dundee, Scotland, UK Continuous Integration 0. 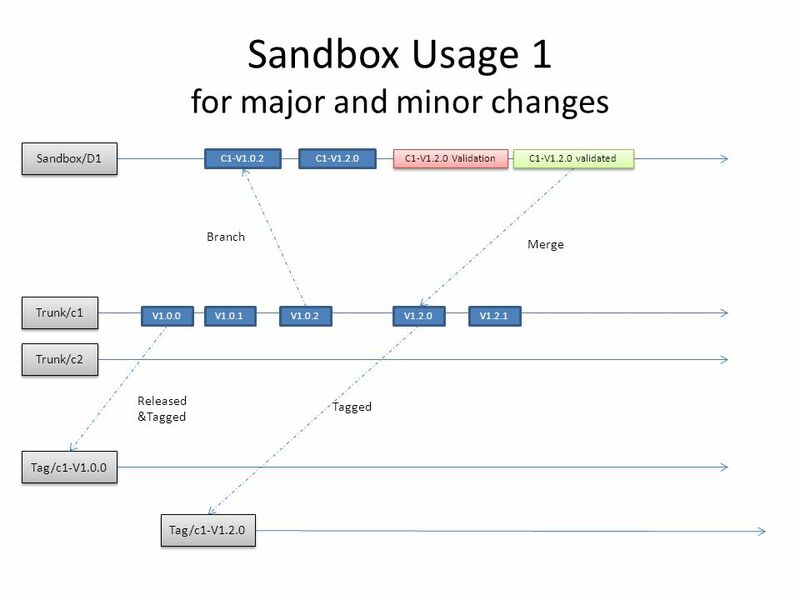 Version control Using Git 1Version control, using Git. 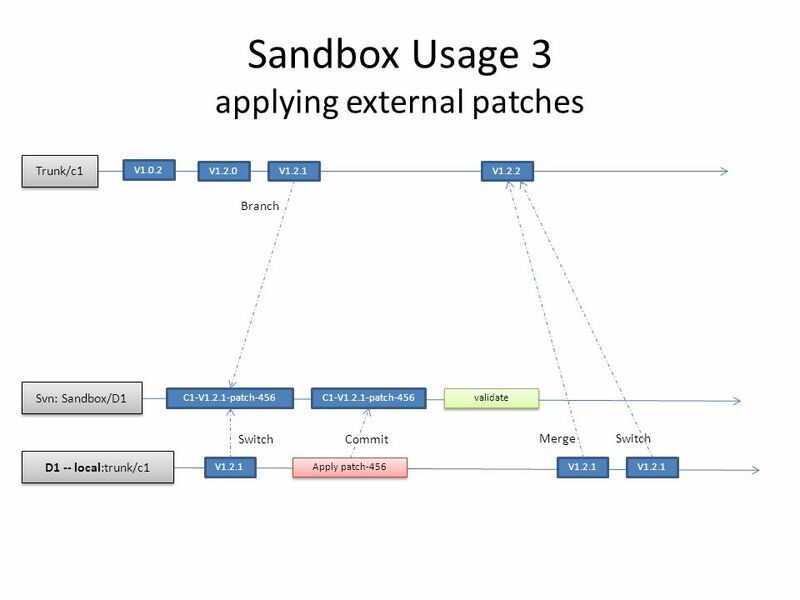 1 Lecture 19 Configuration Management Software Engineering.